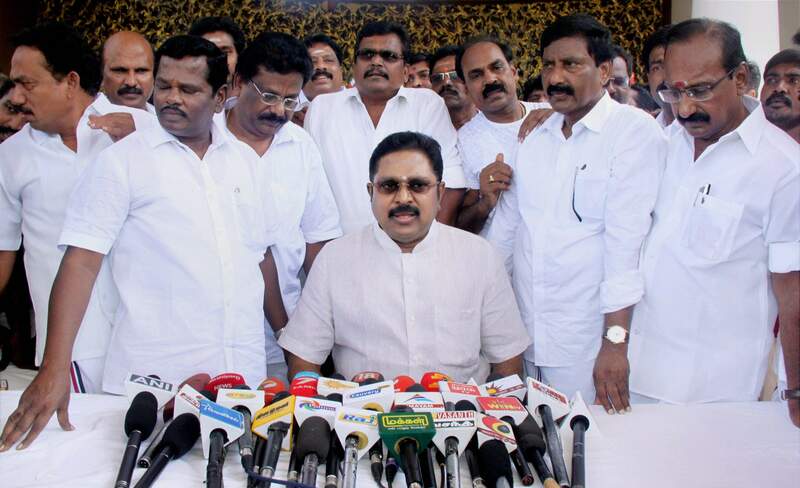 Sidelined AIADMK leader TTV Dhinakaran has floated a new party - 'Amma Makkal Munnetra Kazhagam'. The RK Nagar MLA launched his new party and party flag in a public meeting at Melur in Madurai today. The leader said that they will contest in all upcoming elections using the new party name and flag. Dhinakaran also said that he will try to retrieve the two leaves symbol and till then their party symbol will be 'cooker'. TTV Dhinkaran last Sunday had announced that he will be floating a new party on March 15. He said the intention to launch the new party was to function as a registered political organisation in order to ‘completely retrieve’ AIADMK and stated that the hurdles made by the ‘betrayal’ group were broken.